First, you need a pillowcase :) The one I am using for this demo is from the Simply Sh*bby Chic line at Target. You cannot purchase the cases separately there, but I find them on eb*y all the time. 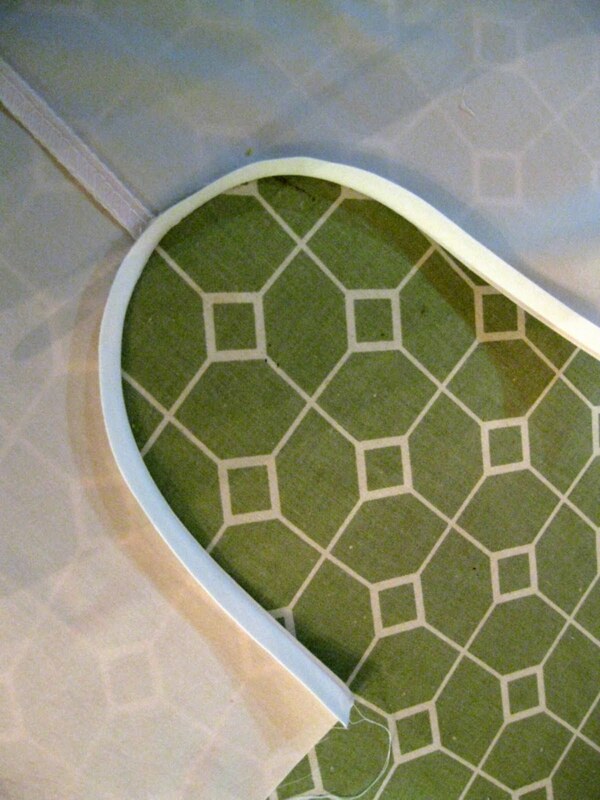 So, find a pretty pillowcase, wash and iron it. 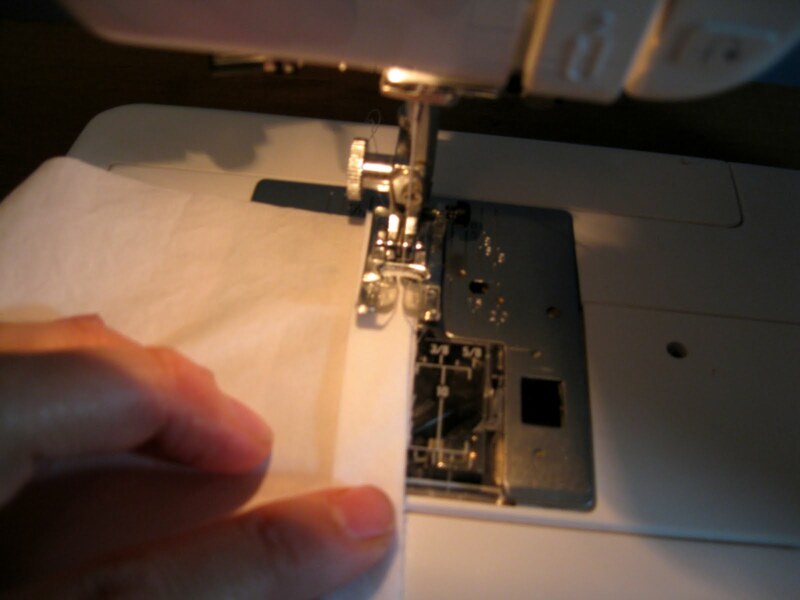 After it is ironed, take scissors and cut the very upper edge of the case off, the part where it is seamed together (opposite the opening for the case). I left the full length of the case for this dress. You can customize your length to fit a smaller child, or even to make a top for an older girl. 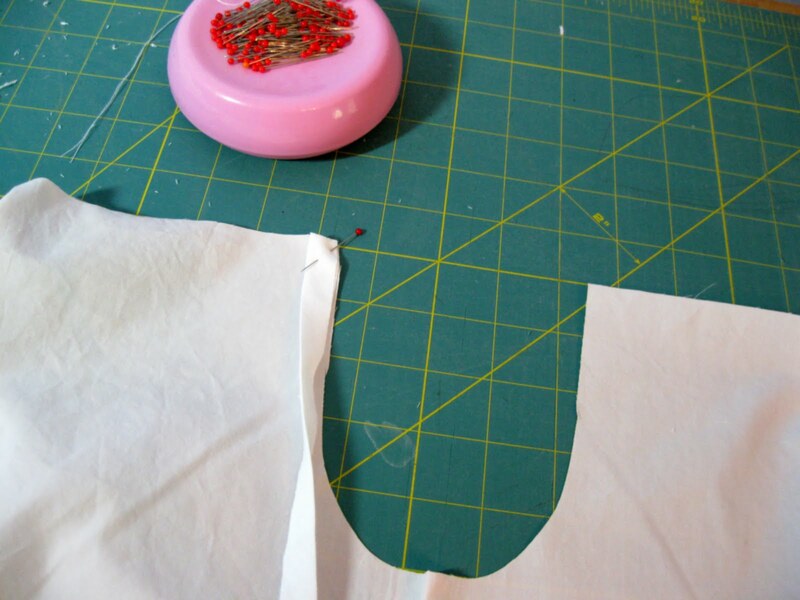 Just determine how long you want the dress/top, from the back of the neck to the hem. 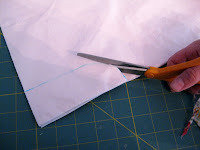 Add 1 to 1 1/2 inches (depending on your casing width) and cut your pillowcase to that length. You should have a case that is open at both ends. 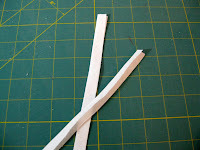 Fold it in half, so the two long seamed edges of the case are together, with the open ends at the top and bottom. 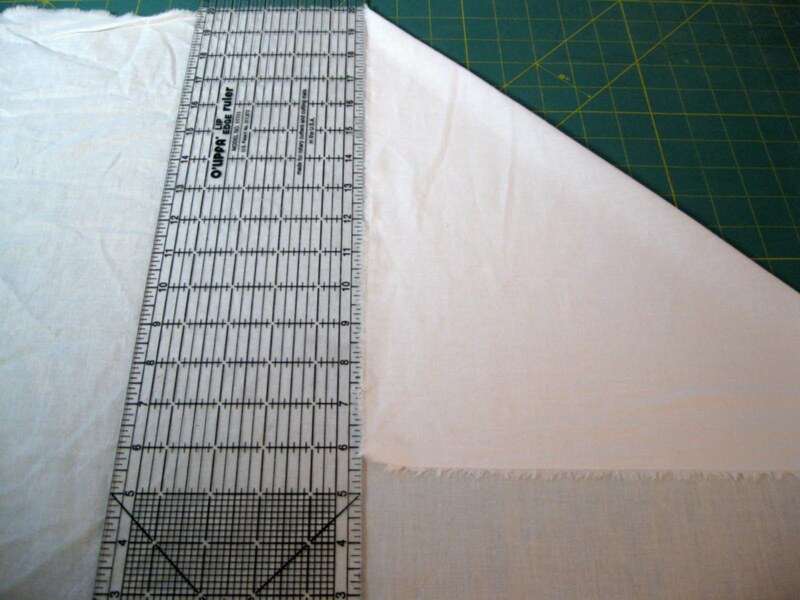 Measure 2 inches from the seamed edge across the top cut edge and mark. 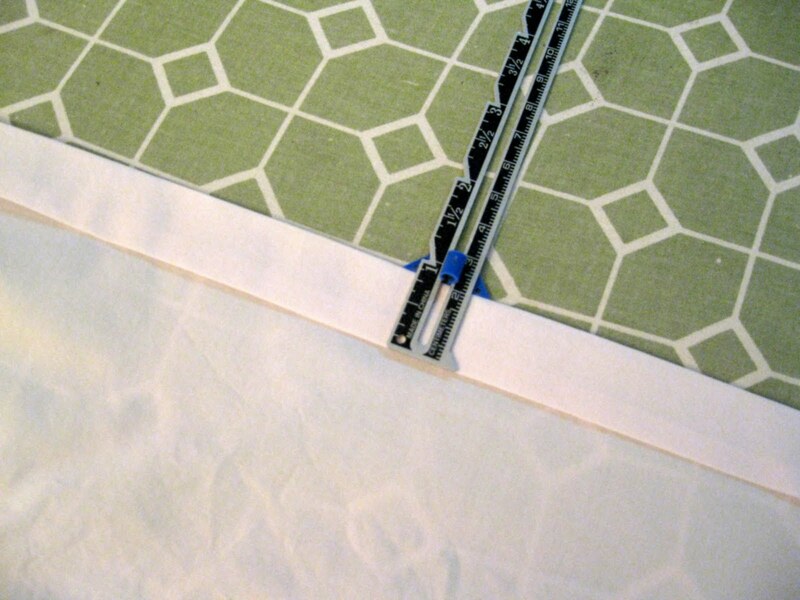 Measure 5 inches from the top cut edge down the seam and mark. I use a washable marking pen, but in a pinch you can use any pen, you will be cutting these marks off in a moment. Draw a curve connecting the two marks you made. This is your armhole. 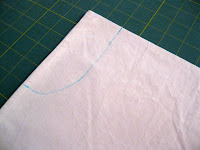 It does not need to be perfect, just make a gentle curve as shown in the photo. Now, cut this curve out. 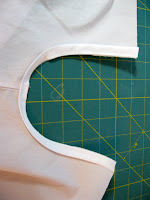 Here is what your case should look like after you cut the armhole curve. Top edge is the closed edge of the pillowcase which you cut off at the beginning. The left fold is the center line of the case, and will be the center line of your dress. The right edge is the two seamed edges of the case. Now, you need some bias strips. You can purchase bias if you have a nice local heirloom fabric shop, or you can make your own very easily. Any scrap of fabric will do, I used a white cotton I had left over. 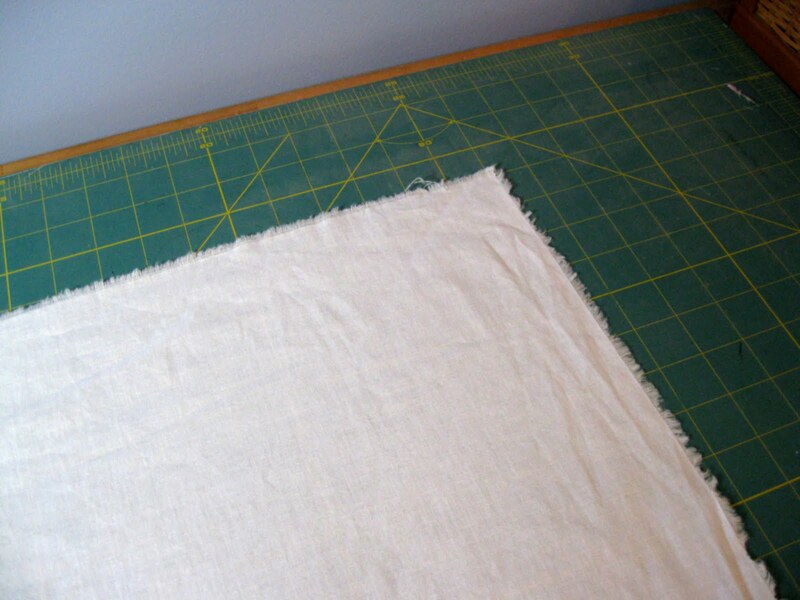 Lay the fabric out, making sure you have a selvage on one side. Fold the corner of your fabric over, so you have a right triangle (an isosceles to be exact). 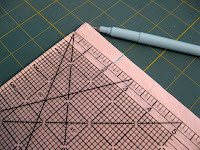 A sewing ruler helps here, to make sure your triangle is true. Now, you want to cut two strips along the long side of the triangle (the hypotenuse for you math minded :). Make sure hypotenuse is at least 15 inches long. Then, using a rotary cutter, cut the folded edge of the triangle off. 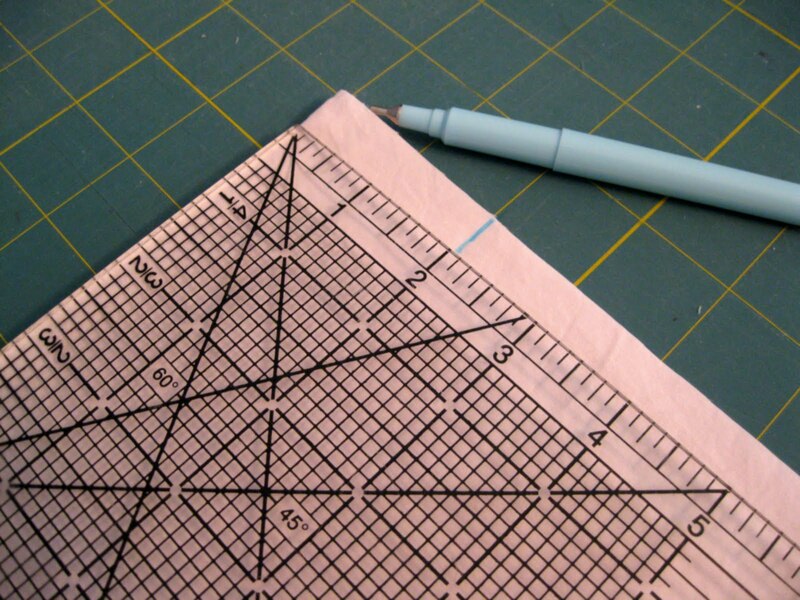 Then, using a ruler, measure a 1" wide strip that runs the length of the hypotenuse of your triangle and cut with a rotary cutter. When you have your two strips, iron them in half, so they are now 1/2 inch wide. They should be roughly 15 inches long. 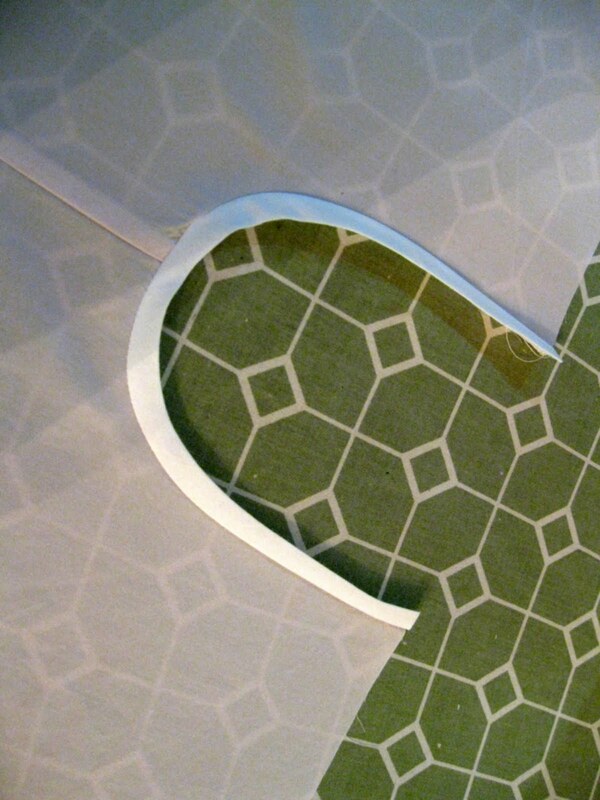 Now, lay your pillowcase right side up, and flatten it to show a nice U shaped curve. The side seam of your pillowcase should be running from the bottom center of this U. Pin the raw edge of your bias to the raw edge of the curve. I do not pin all the way around, just at the top where I start. The bias will shift some as you stitch, so pinning it is more trouble than it is worth! 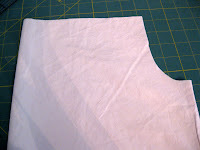 Stitch your bias to the armhole, making sure all of your raw edges are together, and the folded edge of the bias is to the left in this image. 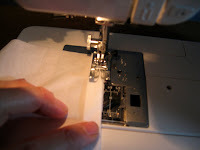 You want to make a seam that is just under 1/4 inch. Your bias tape should look like this. You want to press the bias strip once it has been stitched in place. First, press it up. 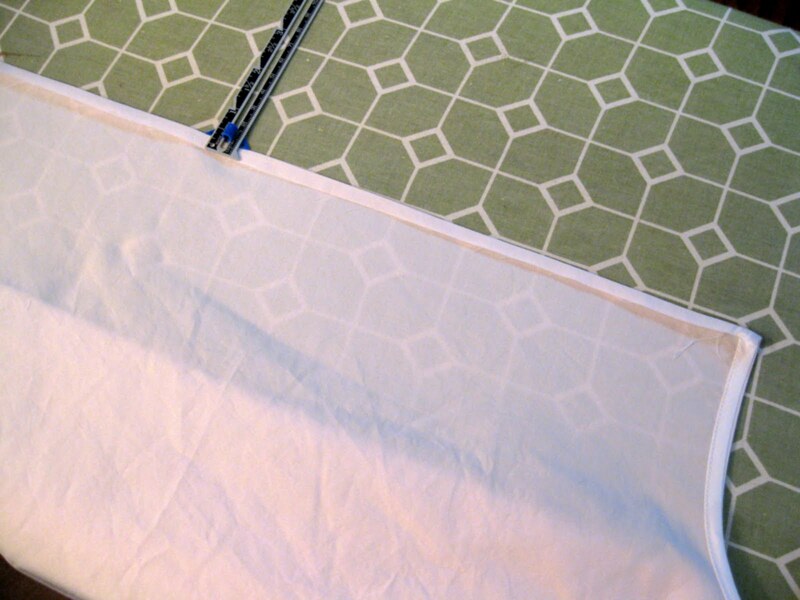 Then you want to turn your pillowcase wrong side out, and press the bias strip down to the inside. Now, if you look at your case from the right side, you should not see the strip, it should be completely turned to the inside. 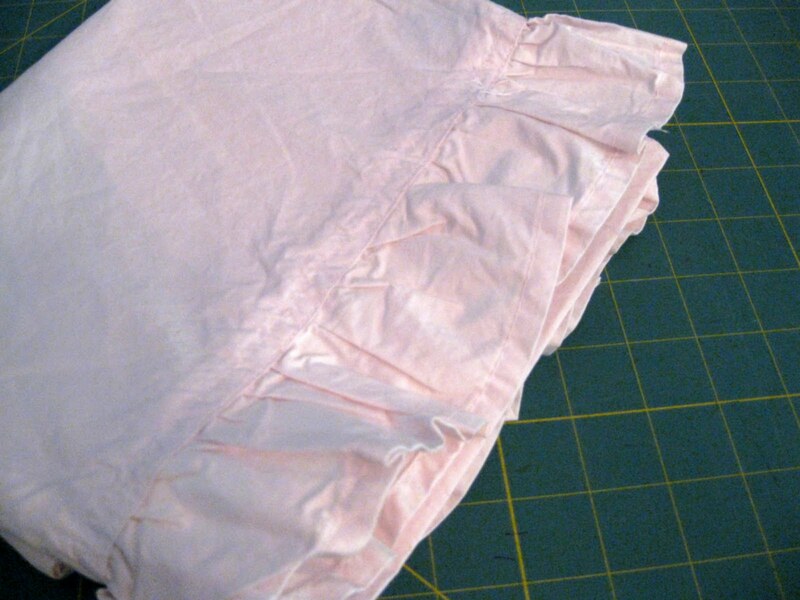 Press this down well, and sew along the folded outer edge of the bias. 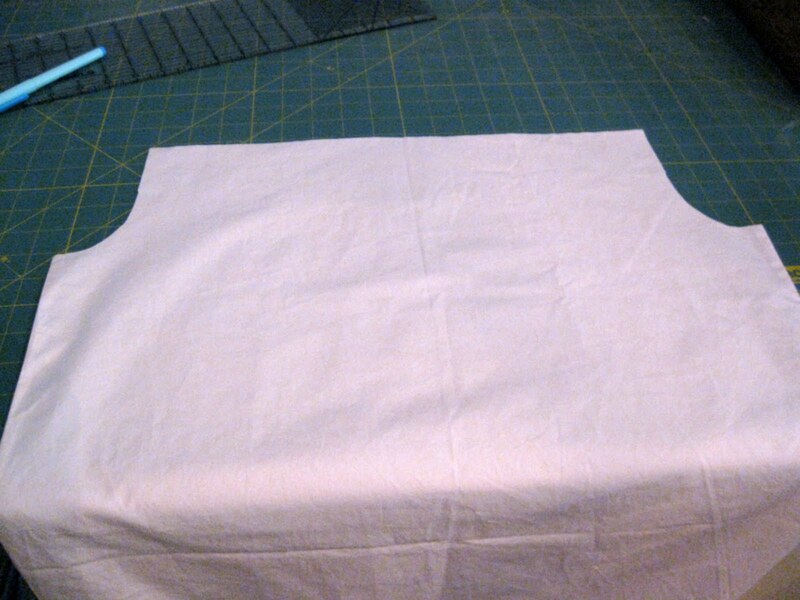 Once both armholes are complete, the only thing left is to sew the casing! Iron the top edge of the dress (the raw edge you cut at the very start). Fold that edge to the inside of the dress 1/4 inch. This is a play dress, so no need to be terribly exact, I usually just eyeball it. Press this edge down well. At that same edge, you are going to press another fold. This time, fold it over 3/4 inch to 1 inch. If you are using wide ribbon, go with an inch, if you are using narrow ribbon, the casing can be narrower. For portrait and beach dresses, I suggest wide satiny ribbons. 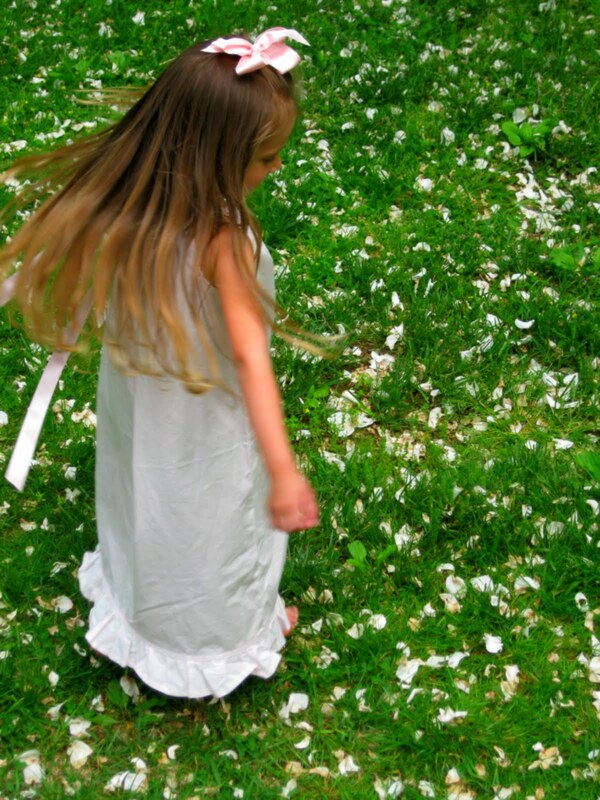 If you want a play dress, a 1/4 inch or 3/8 inch wide grosgrain does the job and does not get in the way of tree climbing and other such important summer activities. So, decide on your ribbon, and fold the casing over a second time, pressing well. 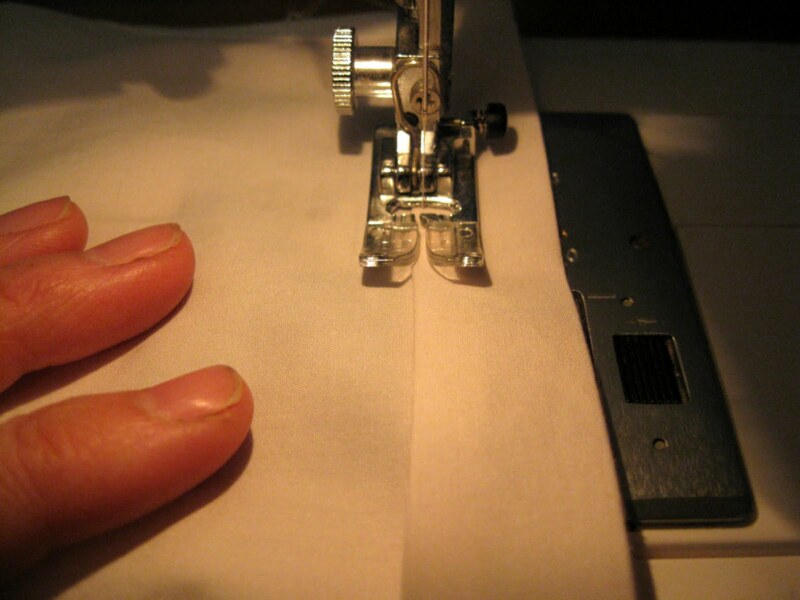 Carefully stitch along the inside edge of your fold on both sides of your dress. 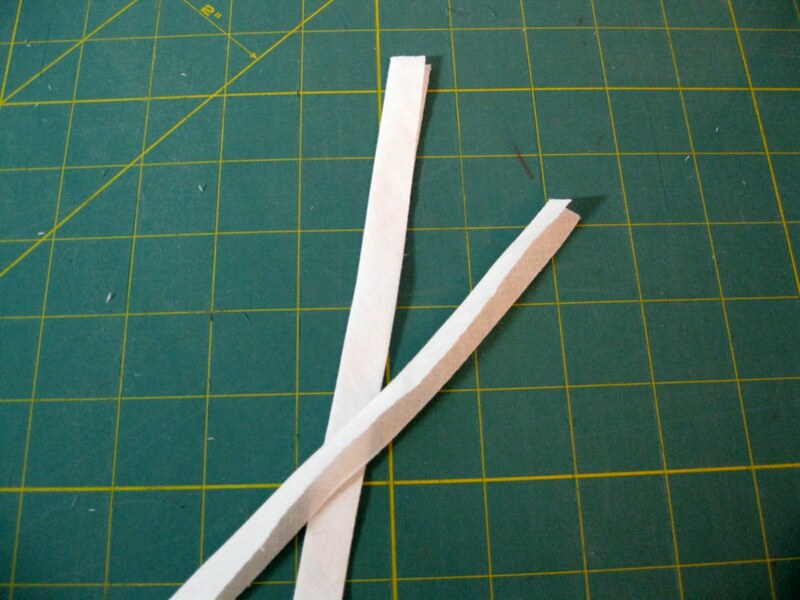 Trim any threads, and run a piece of ribbon through both casings. I like to use a seam turner for that, but a safety pin on the end of the ribbon will help you thread it through just fine. Try it on, and trim the ribbons to the appropriate length. 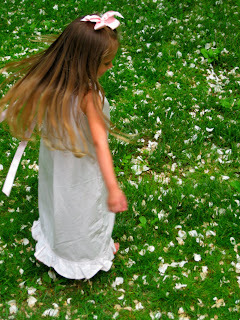 We love really long ribbons for fancy dresses, but I cut them fairly short for play dresses. For a one page set of instructions which includes general guidelines for length, you can download here. I will be hosting a give away later in the week. Emmelia is going to try to make one for Anna and the baby. Thanks for the instructions. Thank you so much for posting this and sharing the instructions in an easy download. When my daughters saw the post and Mary's comment that Emmelia is going to try it they wanted to as well. We will go shopping for pillowcases this afternoon and "see how we get on" as they say here. We will send photos if we make it. I would LOVE to see photos! I've always wanted to make one for my daughter. Thanks for the tutorial. Great tutorial! I'm feeling like my sewing days are waning lately, other than the next baptismal gown. Don't really need any more smocked jon jons because I've already made so many. I'm going to need to get excited about sewing for my nieces or something.